Tip Top Roofers Service Corporation is the largest full-service commercial roofing repair and restoration company in the southeast. We can repair or restore any roof. The National Roofing Contractors Association (NRCA) believes that the most efficient way to keep a roof performing for an extended period is for the building owner to have a formal, long-term relationship with a professional roofing contractor like Tip Top Roofers. Roofing experts agree that a good roof requires proper design, quality materials, and professional application to perform successfully. Once the roof is installed, nothing is more critical to its long-term performance than establishing a program of regular inspections and proper maintenance. Tip Top Roofers Service Corporation can provide our clients with all of these. Every roof has a life cycle, and, at some point, becomes beyond repair. A well-maintained roof can last many years past its initial warranty period, and every astute building owner knows that pushing back roof replacement frees up capital that can be used for other business expenditures. 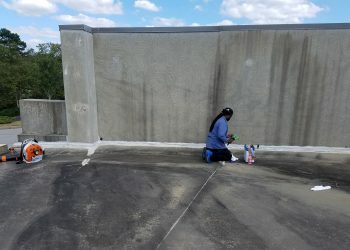 Savvy building managers who want to get the most from their roof investment realize that regular commercial roof maintenance isn’t an option—it’s an integral part of a fiscally responsible facility plan. Tip Top’s radio dispatched fleet delivers to well-trained crews who can implement valuable preventative maintenance programs or provide emergency service fast. 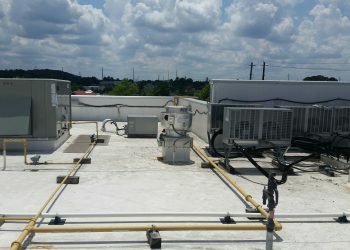 A commercial roof is one of our clients’ most valuable assets. Having a scheduled maintenance plan in place to inspect the condition of the roof and prevent costly repairs or replacement at the first sign of deterioration is vital to extending the life of a roof and saving money. 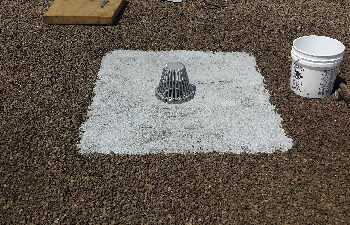 At some point during the life of a roof, the need for a retrofit or a complete replacement arises. When your roof has been damaged, needs to be fixed or has reached the end of its serviceable life, a re-roofing option may be necessary. Tip Top Roofers can handle any re-roofing application and are certified installers of nearly all single-ply and built-up systems. Because we have manufacturers’ certification to make repairs on virtually all types of roofs, Tip Top Roofers can ensure that repairs our clients need will meet all warranty requirements. 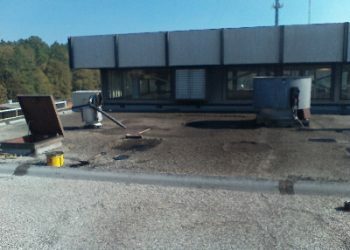 Our roofing experts are certified to install and make repairs on all types of waterproofing systems. There is a point in time where merely doing repairs can be causing more harm than good. At that time, it is essential to work with a trusted roofer like Tip Top Roofing to honestly assess the condition of the roofing system and provide the best possible short-term and long-term solutions – including retro-fitting, recovering or replacing the existing roof. 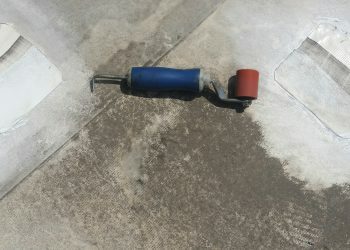 Tip Top can execute roof replacement, retro-fits, and recovers on nearly any type of roof. We have seen just about every cause for leaking roof systems imaginable. While problem areas may be identifiable, many leak-prone areas require challenging repairs, and if they’re not done correctly, water problems can often become worse. By identifying and fixing the problem earlier on, you’ll be sure to save significantly on the costs of water damage and repairs.